Our billing software includes a growing number of components, all carefully designed to operate within a single "universe". This integrated approach allows telecom companies to improve operational efficiency, lower costs and gain greater control of their data. 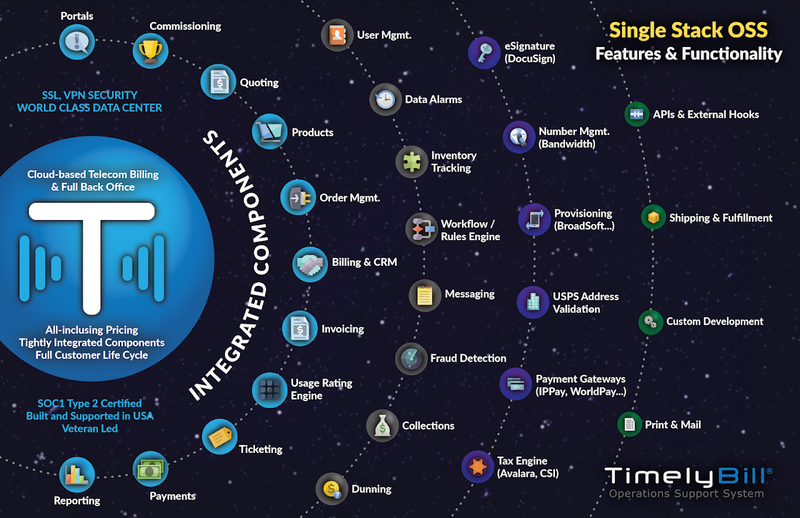 The following links will redirect to our corporate website (timelybill.com), where you will find detailed information about each of the various components. These include components which are vital to day-to-day business operations, sales and customer care.